Paul Youssef is an investment associate at Marcus & Millichap’s Manhattan Office where he specializes in multifamily and mixed-use property types in Western Queens, particularly focusing in Long Island City, Astoria, Sunnyside, and Woodside. Prior to joining Marcus & Millichap, Paul gained valuable experience working as a project manager across Manhattan and Queens, where he managed and budgeted several multifamily renovations as well as managing the construction process for new buildings. Paul graduated from S.U.N.Y. 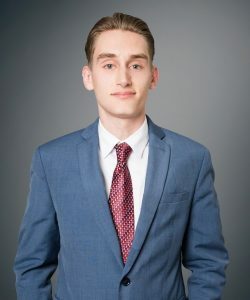 Binghamton with a degree in Financial Economics, and has leveraged his skill set to assist in the underwriting of properties, as well as being able to abstractly view and analyze particular market trends and business cycles. Paul enjoys snowboarding across the country, as well as surfing at Montauk Point in Long Island, and Huntington Beach, California. He is also a multi-faceted musician where he plays several instruments such as drums, guitar, keyboard, and bass guitar.